When I speak German in shops the staff hear my accent and talk back to me in English because they like to be helpful and they like to speak English; true, it’s also part of their job to use English in a city where there are lots of tourists. But it got me thinking about integration and how people integrate with me. It’s not a one-sided thing. I am not expected to do it all alone. 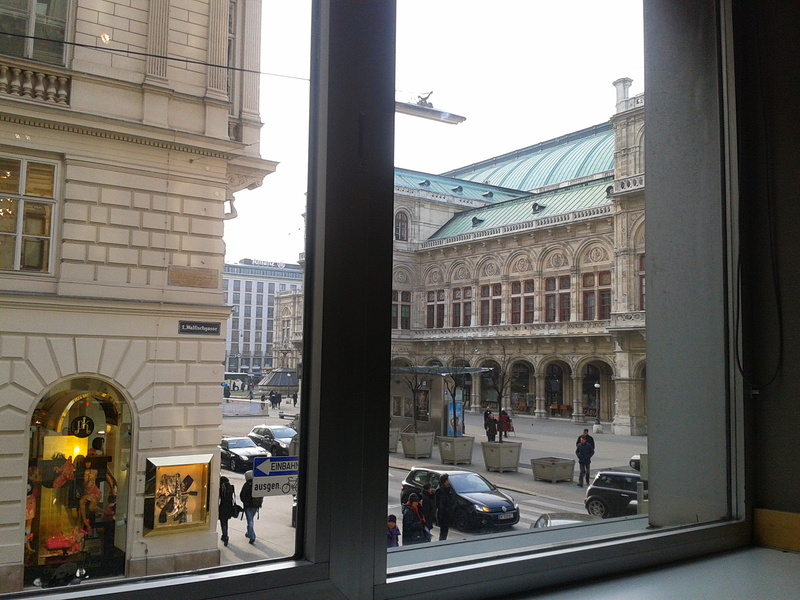 The other day I found the Vienna Expat Center, its goal is to assist expats settling into life here, providing any information and assistance they can. But aside from people whose job it is to be nice to foreigners, there are many people who embrace outsiders and simply enjoy being international. Such examples include the group of Austrians sitting next to us in the Artis cinema, watching the Muppets in its original English version. In the Irish pub the other week there were a few locals in there enjoying the English footie and the Guiness. “Thank you for your friendship,” says the Turkish man with the white hair. It’s desperately sweet. My point you ask? Integration; it’s not about dissolving your own culture in order to make it secondary to the culture of the new place in which you find yourself living. It’s the process of actually integrating a range of cultures and mixing it up, finding time to be a bit English and finding time to be a bit Austrian or any other nationality you come across. It’s not about degrading one culture at the expense of another and it’s not about self-denial. It’s about acceptance and it’s about accommodating all the facets of you in ways that coexist. I mix with the locals and, crucially, they make the effort to mix with me.